A Moleskine page. This page was a happy accident. While travelling last week my jar of (Golden!!) gesso leaked, I just slapped it over the pink acrylic background I was already working on. Because of the leak, I used more gesso than I normally do and I love the texture it created. Random stamping and Signo white gel pen on top. Some real journaling going on here. I think it's something many of us women struggle with sometime in our lives. This came out of my BPJ (black page journal) which, if you've been following, you haven't seen in awhile. Multiple layers of acrylic paints in pinks, white and cream to get the depth. Lots of scrapbook supplies going on here. Another BPJ entry. :) My favourite part of the page is the Prima flower border at the bottom. Last, but not least, another red and yellow page. I really loved how this turned out. The base was from leftover red/yellow paints from the page in my last post. 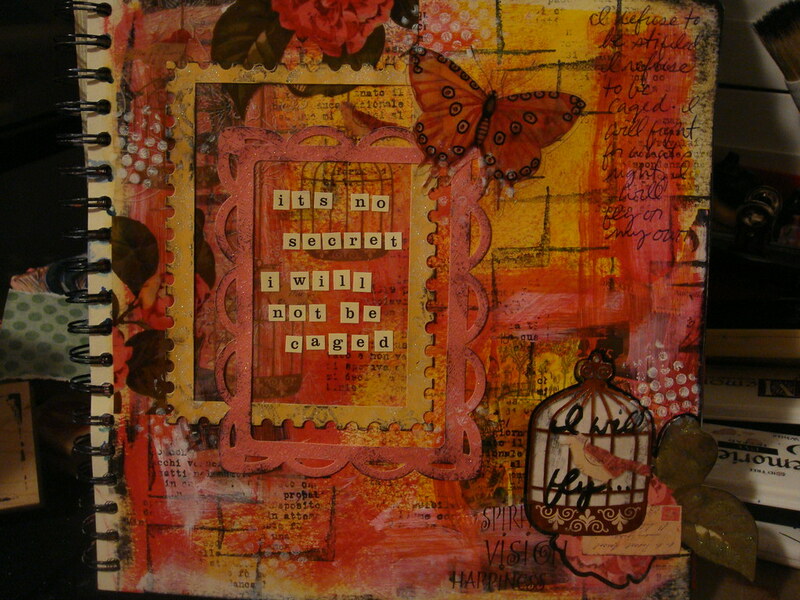 I added some stamping, Titan Buff acrylic paint and scrapbook supplies to finish it. It may be hard to tell, but the flower, bird and cage images at the top left of the page are actually a 4x6 transparency. I love buying the 4x6 sized packs of scrapbook paper to use in my journals, I find them a good deal because I get many differnt patterns rather then buy the 12x12 sheets seperately. You've done yourself proud!! My favorite is the blue boat page. WOOT!!!! Those are all awesome... and again, HUGE congrats! Your pages just keep getting better and better!! 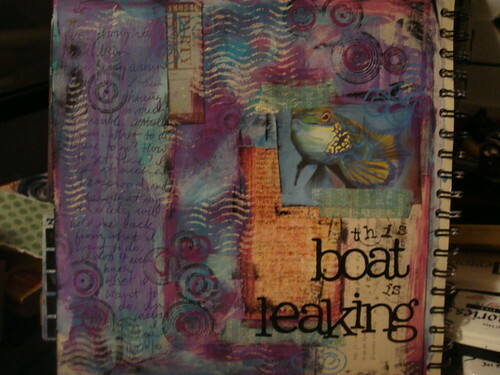 Your pages are beautiful with all the textures and great colors! I love your pages. 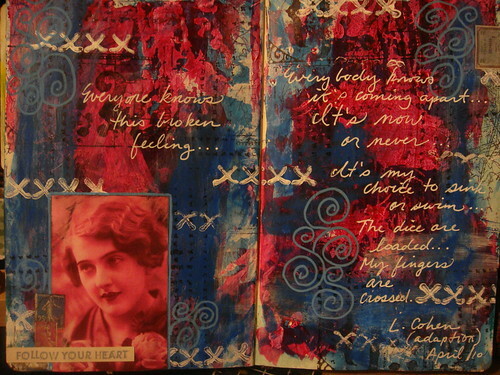 Art journaling is new to me and I am still trying to find the courage to give it a try. Your pages are an inspiration. You have been busy! Love, love, love all the pages, what a great mix. so cool to see you guesting on Gutter Girlz and did I read correctly, you're going to be in Art Journaling mag! Way to go girl, look forward to seeing your work featured there! Every time I see one of your pages I think it's my favorite....until I see the next one! I absolutely LOVE each one of these. You are the Queen of Layers!! 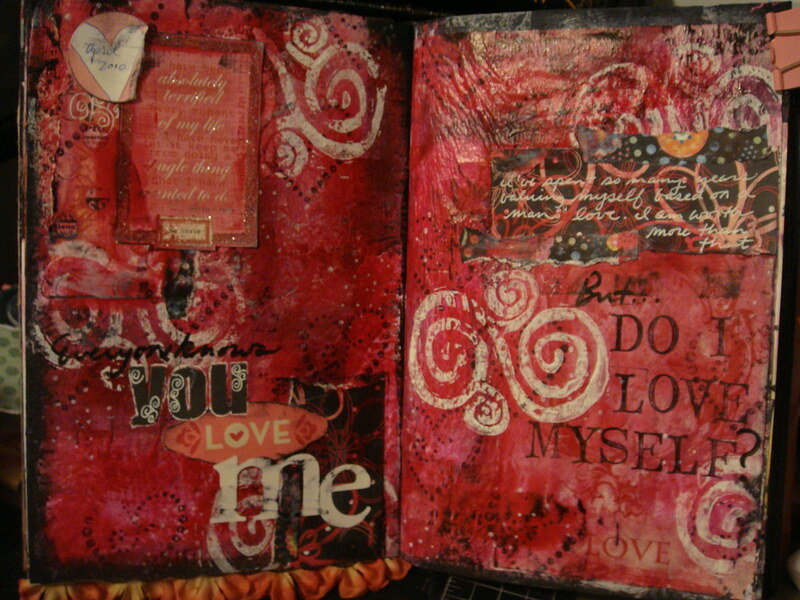 gorgeous pages all of them... particular;y loving the reds. 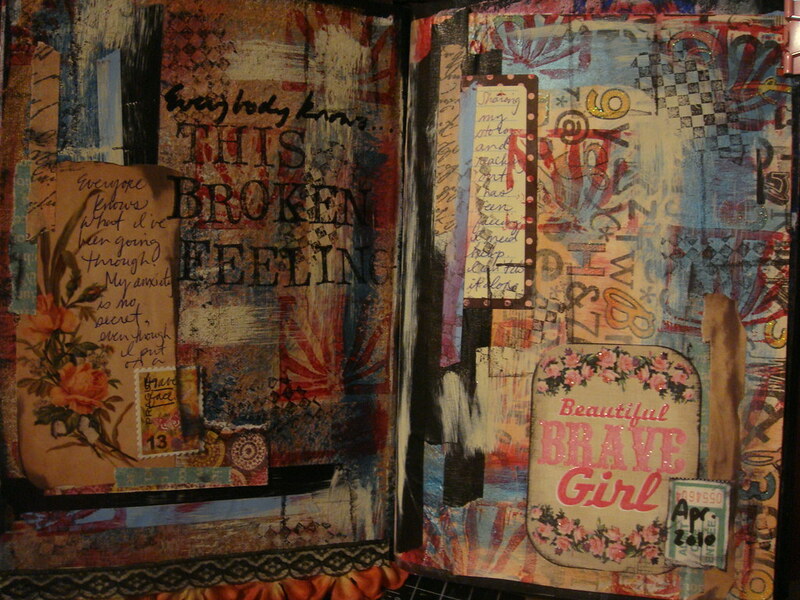 Paula I am loving your bold journal pages. The colors are so great, the layering is to die for! Wonderful! Your journal pages are awesome as always, but that last one... I LOVE! It is one of my favorites for sure.